The Pure Ink poetry Slam team consisting of Brandon Williamson, Megan Kemple, Ben Brindise, Eve Williams, and Ten Thousand is going to the National Poetry Slam in August of 2018. 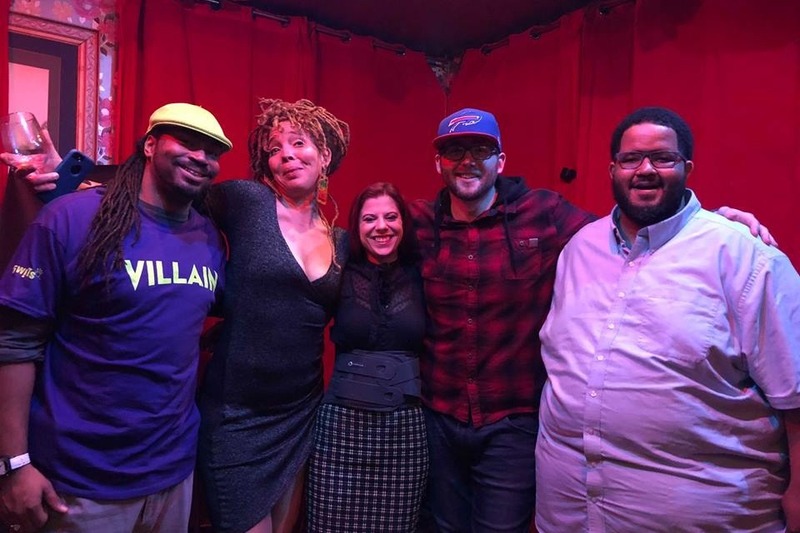 They're going to represent Buffalo NY against 72 of 113 National and international poetry slam teams representing cities across North America and Australia. We are currently fundraising to help pay for the transportation, and lodging for the trip. We always call on the community for support and the Poetry community of Buffalo always comes through for us. We will be prepared to bring every ounce of talent, fire, passion, and skill that we have as we work hard to make everyone in Western New York proud. As you donate, please keep an eye out for our fundraising programs and showcases happening throughout the summer. We want to show you what we plan to bring with us to the National Poetry Slam.